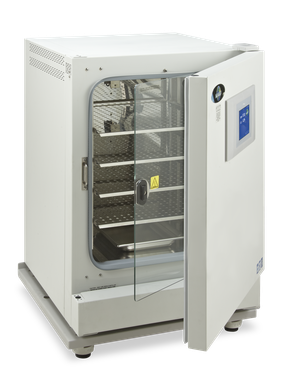 Model NU-5700 is a CO2 Incubator uses direct heating elements that surround the growth chamber to maintain set point temperature. 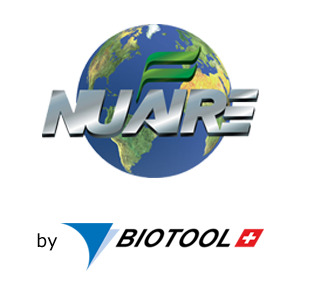 Model NU-5700 comes standard with a dual wave infrared (IR) sensor to control CO2 gas levels creating optimal growth conditions at or near body temperature. 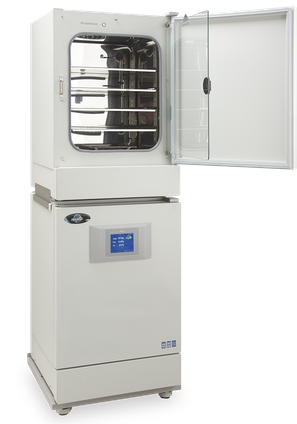 NU-5800 provides the basic functionality to promote tissue cell growth by controlling Temperature and CO2 gas levels in the growth chamber. 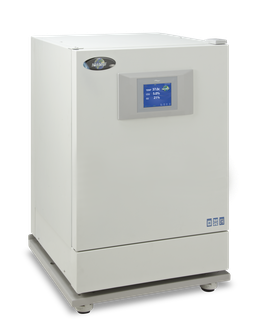 A relative humidity of 90% is produce through convention by a water pan. 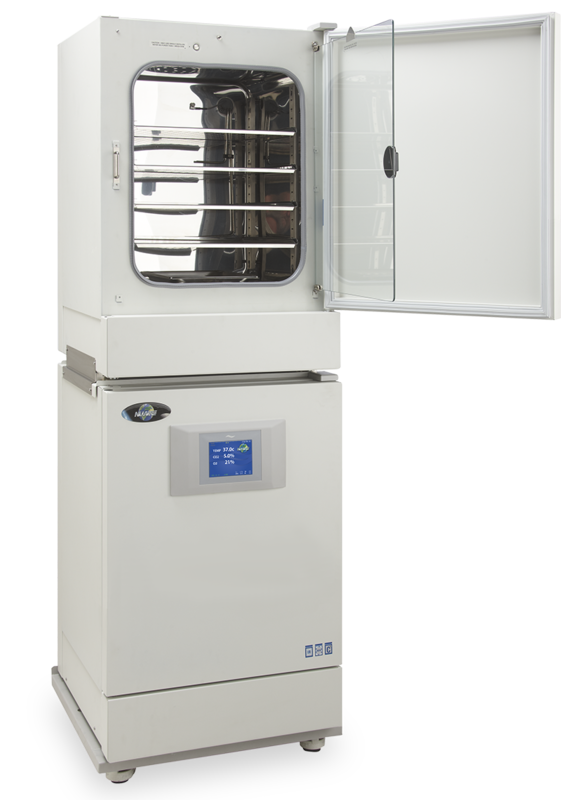 The Closed Loop HEPA Filtration System creates ISO Class 5 Clean-room like conditions to minimize potential contamination entering the growth chamber. 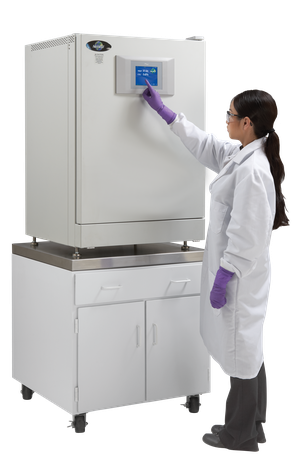 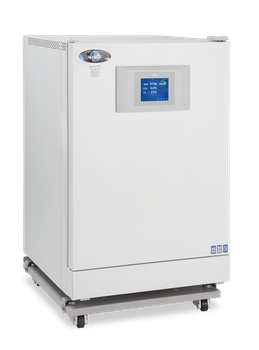 The InVitroCell™ ES (Energy Saver) model NU-8600 is a CO2 Incubator that uses heated water that surrounds the growth chamber to created uniform temperature conditions for cell culture growth. 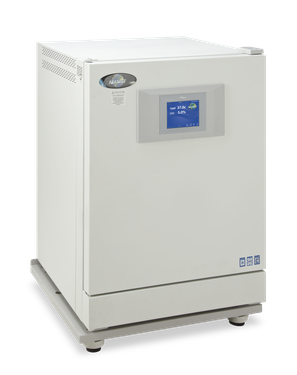 Water Jacket model NU-8600 also uses an IR sensor to maintain proper CO2 gas levels and produces a humidified environment up to 95% perfect for mammalian cell studies.